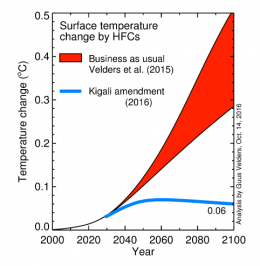 Last week’s news from Kigali, Rwanda, that hydrofluorocarbons (HFCs) emissions are being phased out globally is truly excellent news for our students and their successors. This single measure will remove up to 0.5°C warming at a time when global temperatures are more than 1°C above pre-industrial levels. In last December’s Paris Agreement, the world’s countries agreed a target maximum warning of 2°C or, if possible, 1.5°C. Without this phasing out of HFCs, agreed by nearly 200 countries as part of the Montreal Protocol , this would not be possible. As an expert on ozone depletion, I was the lead author on the Chapter on Scenarios and Information for Policymakers in the 2014 WMO/UNEP Scientific Assessment on Ozone Depletion. It was this report that acted as scientific basis for the discussions in Kigali, and so I am delighted to see this action having been taken. 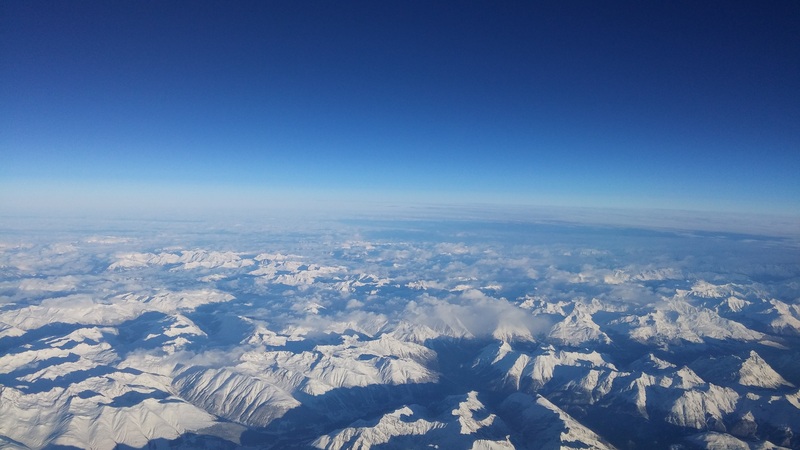 The decision was reached in response to the Montreal Protocol on Ozone-Depleting Substances, whose goal is to protect the ozone layer, and represents a significant moment in the history of climate change talks and agreements. Developed in the 1990s to replace ozone depleting substances, HFCs are powerful greenhouse gases and major contributors to global warming. Used mainly in air conditioners and refrigeration, they were listed among the seven greenhouse gases targeted by the UN Framework Convention on Climate Change.